Provocative thoughts . A series of lectures and presentations on provocative topics. Provocative thoughts 1: Marxism, science or ideology? Guided by prof. David Harvey. 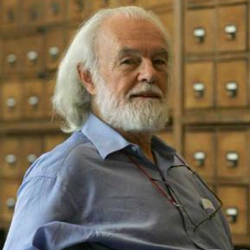 David Harvey is a Distinguished Professor at the Graduate Center of the City University of New York (CUNY), Director of The Center for Place, Culture and Politics, and author of numerous books. He has been teaching Karl Marx’s Capital for over 40 years. Read his CV. This entry was posted in News and tagged coming soon, provocative thoughts by Bruno Kapetanovic. Bookmark the permalink.